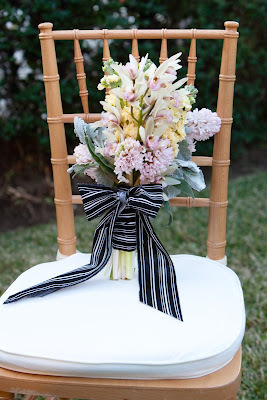 Flush Designs: One bouquet, two bouquets... everywhere a bou-quet! 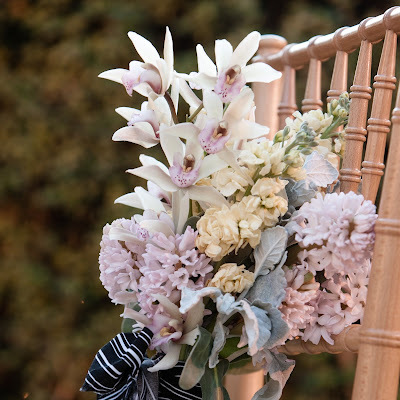 One bouquet, two bouquets... everywhere a bou-quet! So here are 2 new bouquets by me. This one is for the Frida table top but is also a trial run for a June bride that I will be doing the bouquets and boutonnieres for AND Erin Hearts court will be shooting too AND I am doing the invitations and paper products for! Yay!! I am excited!! This is about as "One Stop" as I can get! :) The bride ordered a bunch of super cool vintage ribbon for the bouquets so imagine that red ribbon wrapped all the way around. 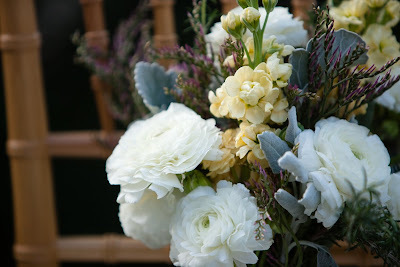 The next bouquet was for the Modern table top which you will see later, and for fun. 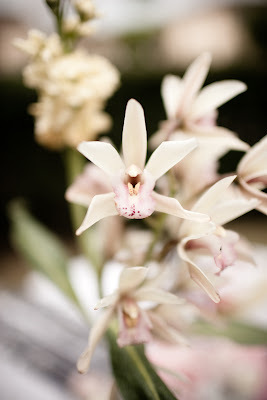 The first photo is just a close up of the orchid before it made it into the bouquet. Oooh... 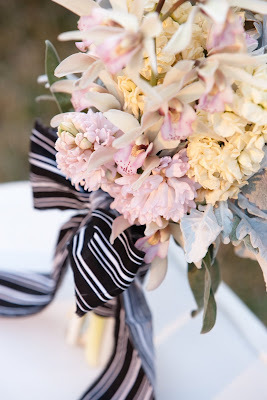 I LOVE that black + white ribbon! 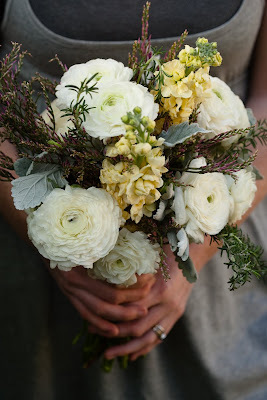 And your floral design is just gorgeous, I would have loved either one of those bouquets for my own wedding. I absolutely adore ALL of your work! 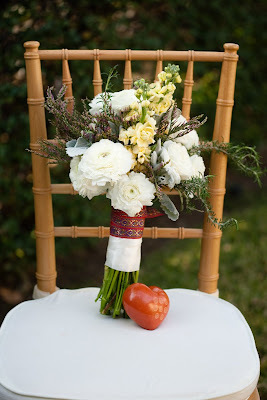 You by far have the best taste in wedding design and are simply fantastic! In my dream world, you would come to my house, wave your magic wand and make everything look lovely. Your designs are personal, creative and detailed. Sadly, I can't afford your design expertise for my own wedding. But you are making my entire event by displaying your joyful images online. I read your blog daily to absorb your inspiration.